There is a major fault with how AdWords management is conducted today. 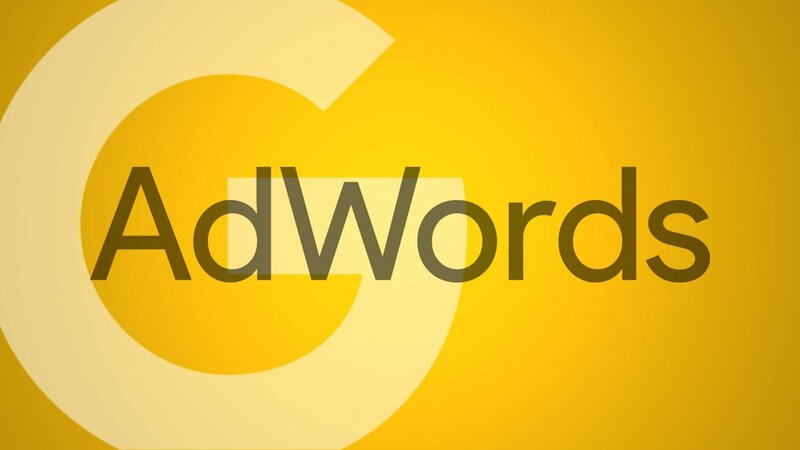 Even 16 years into its lifecycle – an eternity for any digital platform – AdWords management is still a young discipline. Consequently, it suffers from a flaw that many young disciplines have in common: a lack of shared conventions that facilitate collaboration and understanding from account to account and manager to manager. That’s right. We’re not talking about keywords or impression share or quality score or any of the dozens of meaty topics that proliferate the digital advertising blogosphere. We’re talking about housekeeping. Is your AdWords account “bus-proof”? In other words, can it survive if a critical team member is “hit by a bus”? In the event of my untimely demise, would Single Grain allow my managed accounts to perish with me? Of course not. We’ve used good enough housekeeping conventions that my colleagues Ramsey or Justice could pick up right where I left off. Ads shall continue to serve in the morning, none the wiser. For less corporeal reasons, agency leads should nevertheless insist on consistent conventions of AdWords housekeeping – not only for the ease of managing personnel more flexibly, but also so that managers can trade accounts according to their skillset and their knowledgeability of the product. We need look no further than the mature discipline of computer science for an exemplar of good housekeeping conventions to emulate. In software development, where 40% of lifetime product labor hours (seldom by the original author) go towards maintenance alone, there is a dire need to optimize workflow around a set of principles. These principles ought to be universal and understandable for any purpose by any specialist in any country speaking any language. Fortunately, decades of trial and error and crash and reboot have already distilled these for us. In computer science, code must past peer review before being promoted to a live build. Is your organization involving peer review in your AdWords buildouts? In computer science, good developers strive to reduce “brittleness” – in other words, reduce the risk of a program’s failure as incremental small changes are made elsewhere. Can good AdWords managers reduce brittleness in their buildouts? In computer science, good developers (UI/UX designers particularly) strive to maximize searchability in their output. Can a reasonably intelligent but unspecialized layperson pop into your AdWords account and look up a quick detail without requiring an excruciating walk-through call from the account manager? Above all, computer science treasures the principle that good code is documented code. Right there, in line with all the strings and methods and scripts and variables, lies the instruction manual for how to understand it. Or if the documentation fails to convey why the code works, at the very least it explains what the code is supposed to do. As responsible AdWords account managers, we must accomplish with our account housekeeping what these principles have accomplished for developers. A new AdWords build should look, feel, and smell like a new car. Everything is immaculate: the tires dressed, the paint glossy, the seats and interior utterly unworn by anyone except for you. This is the feeling I want my new clients to have when we embark on the inaugural tour of a fresh account build I’ve prepared for them. AdWords is currently in the midst of a very tedious and controversial transition between the “classic” user interface – our ugly baby whom we love irrevocably – and the “improved” user interface, which as of this publication boasts as much UI/UX coherence as a bag of hammers. Nonetheless, this new UI promises to lubricate sharing of column orders, draft campaigns, and personalized custom dashboards. I recommend exploring its custom dashboard features particularly for the occasional executive read-only visitors. Virtually every serious AdWords account ever operated is inevitably subject to a surprise inspection by an overcurious C-suite exec eager to “get down in the trenches” with the marketing outreach, and a sufficiently beautiful custom dashboard can often mitigate the chances of him or her fatally screwing something up with an errant click. There are many legitimate use cases for an MCC (My Client Center) account, but there are just as many pitfalls to beware of. In-house, MCCs are often used to manage accounts for multiple regions which might be billed and accounted separately on the balance sheet, i.e. NAM in U.S. Dollars, EMEA in Euros, and APAC in local currencies. In this situation, there’s often the potential for confusion when international managers log in to see that they’re logged into the USA account – because the MCC name is defaulted to reflect the name of the first account created within it, often the USA account. If you use your MCC account to white-label to agency or client-side, make sure your MCC is not named in such a way that if a client-side stakeholder logs in and inspects who’s actually managing, there’s no embarrassment for your employer. Likewise, if you have subcontracted out your account management, make sure your account doesn’t wind up in their MCC, leaving your client with a very confusing impression. Whichever side of the arrangement you fall on, if you’re going to get caught white-labelling when you shouldn’t be, it’ll probably be because of sloppy MCC names. Make sure your high-volume accounts have a backup billing method – a bank account or another credit card – on file with Google. You’ll always be notified if a problem arises, but service will continue on your backup card while you take time to address it within a certain grace period. Google AdWords is a glorified spreadsheet. Yes, there are visuals and charts and buttons and tabs, but 90% of the magic happens in rows and columns – and relevant information belongs near other relevant information. By default, Google’s column orders for Campaign, Ad Group, Ad, and Keyword are not very friendly to newcomers. They’re overloaded with one-time configurations and seldom reflect the manager’s actual focus or intention for meaningful KPIs in the account. You can vastly improve the value of your account’s housekeeping by saving a few new custom preset account orderings and naming them with descriptive instructions for other users likely to log in to view or make changes. Storytelling Order. Sometimes called Pipeline Order, this column ordering shows data types in order of their pertinence in the overall customer journey, from view to click to conversion. And if you have the integration with Google Analytics enabled, you can also import those on-site engagement metrics for insights at a glance. Executive Order. Don’t let important stakeholders and executive-level users get caught in the weeds. Most of the time they just need to know how many clicks they bought, how many conversions they brought in, and how much it cost them. Use primary names to describe structure and campaign variables. Campaigns are the base unit of budget, and while it can be tempting to choose a naming convention that specifically implies the product or service being advertised, especially to placate the lay executive, we must remember that the user is in charge of where they navigate on-site or what they ultimately convert on. Instead, use campaign names to imply the underlying structure of your account and, ultimately, what segment of the marketplace you intend to encapsulate. Don’t be afraid to establish a schematic for campaign names that uses variables or shorthand to enhance the meaning – so long as these are documented and accessible! Use secondary names to describe purpose, variants, and creative. The Ad Group is often best used to capture variations on a theme, or root keyword, established at the campaign level. Here, if your campaign names are clear enough, you are free to descriptively title according to your modifier keywords and match types. Never use arbitrary tags or information that only makes sense to yourself or one unique manager. Never use DD/MM format terms in variable names! These campaigns always end up outlasting their intended lifespan and confusing the next generation of account managers to tears. Never, ever, for all that is holy, ever use the phrase “THIS ONE” in a campaign or ad group name. Borrowing again from the computer science concept, AdWords offers the Shared Library resource as a central hub for commonly referenced data. This means there’s no need to copy-paste or manually draft and redraft many of the data types that are not unique to individual campaigns. Whenever I take over an AdWords account from another advertiser, my first stop is always to Shared Library to see how much the previous manager developed. Invariably the conclusion is “not enough” – and the account suffers for it. Seeing the same negative keywords applied at the campaign or ad group level in every campaign in the account? Accomplish the same effect with master negative keyword lists in Shared Library. Then in your routine search term reports when you identify a strong search term for negation, ask yourself how you can apply the underlying negative concept across the account. For the same gesture, the same number of clicks and the same exertion of mental calculus, the optimization power of your workflow is exponentially increased. The same principle applies to all the other data types found in Shared Library: budgets, audiences, placement exclusions, data feeds, etc. Always start generally, then get more specific. Even if you use a third-party reporting client, build out a few basic reports in the Report Editor. Ad hoc reports are a constant thorn in the sides of AdWords managers, but that doesn’t mean we can’t prepare for them. Anticipate the basic questions that account stakeholders may ask of you, and determine which data points contribute to succinct yet holistic answers to those questions. What data do you want to make available to any layperson (enough to give them the correct impression of performance but not so much to overwhelm them)? Labels are how AdWords processes abstract data types. They are used to cut across the many default data types we routinely reference on our quest for optimization, tying all those clicks and costs and conversions and impression shares to a concept of our choosing, to what we the account managers decide is meaningful to the account’s business objectives. Moreover, they serve as arbitrary identifiers. Split-testing several ads in a fair, rotate-indefinitely ensemble across multiple ad groups or even multiple campaigns? Label the individual variants as “Ad Rotation A,” “Ad Rotation B,” and so on. Instantly, an onboarding user can understand the purpose of the experiment and the results of the split test in a corresponding report. Labels, and their ability to be readily understood in a direct, color-coded fashion, allow you to easily inverse even the most convoluted of account structures, enabling you to design campaigns and ad groups that speak to the demands of the marketplace and achieve cost-efficiency. And because labels can be selected as rows and columns in the Report Editor, the manager never has to sacrifice legibility in order to develop structure. Testing out different bid modifiers by audience list in a campaign? Label them! Targeting keywords relevant to multiple products in multiple campaigns for structural purposes? Label them! Recalling what I said earlier about how an AdWords build ought to look like a new car: Labels are the way to do this. There is, of course, a lot more that could be said for good AdWords housekeeping. The platform is ever-evolving. Sometimes it produces a truly new, game-changing feature that makes our lives easier and our legibility simpler. Other times, it is up to us to craft a housekeeping convention geared solely at cleaning up Google’s mess. Regardless, good AdWords housekeeping is fast becoming an undeniable yardstick by which a manager – and by extension an entire product, company, or agency – may be judged for competence and professionalism. Poor AdWords housekeeping leads to illegibility, and in turn to human error, mistakes, and consequences for performance and client retention. It is ultimately incumbent upon account managers to balance AdWords housekeeping against the myriad day-to-day tasks related to optimization. The best managers take complete responsibility for their accounts. Housekeeping included.